Planning a hiking trip to South Australia? Known locally as “the Prom”, the Wilsons Prom national park is no doubt one of the most popular hiking spots in the state of Victoria because of the stunning wildlife and opportunity for day hikes. 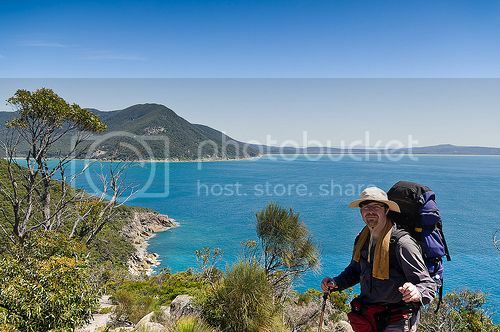 The trail from Sealers Cove to Refuge Cove is one of the most popular trails for a 2-day hike in the park, though you can easily walk Sealers Cove and back in just a few hours. Wilsons Prom also boasts beautiful beaches where you can enjoy surfing and swimming, as well as plenty of accommodation options such as camping areas and lodges to choose from. Another great thing about Wilsons Prom is that it’s about two hours drive northwest of Melbourne so you can get to the park in no time! It’s worth renting a car if you’re staying in Melbourne since the drive from Melbourne to The Prom is definitely worth doing because of the sightseeing opportunities like seeing the penguin parade at Phillip Island. 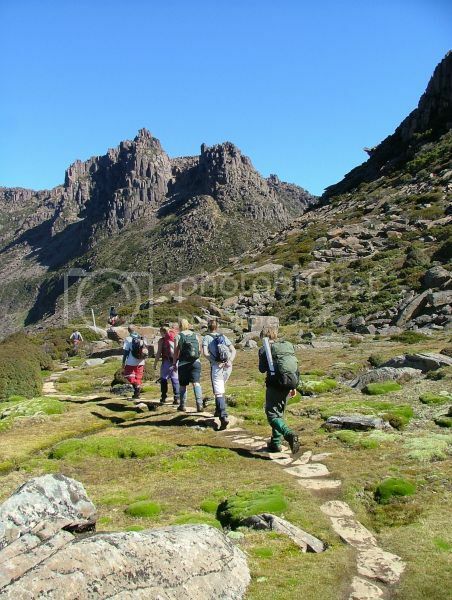 The Overland Track in Tasmania is definitely one of the most famous treks in the world and it’s without a doubt, one of the best places for hiking in South Australia. 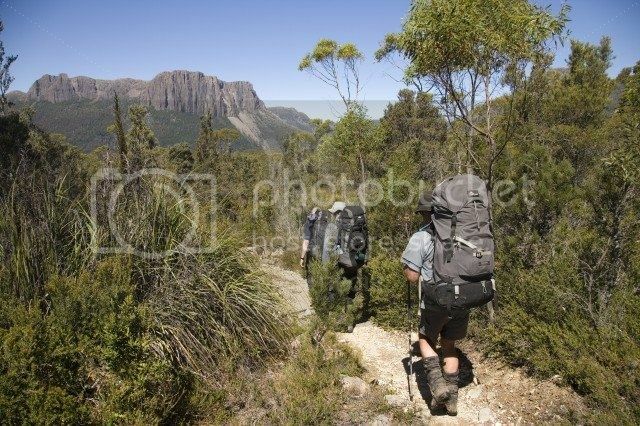 If you’re into wilderness hiking, you’ll love trekking the Overland Track since it’s located right in the heart of the Cradle Mountain-Lake St Clair National Park, which is one of the most pristine bushwalking areas in the world. The beauty of the Overland Track is that it’s easily accessible, properly marked and offers amazing opportunities for wildlife viewing. Also, even if you haven’t got a ton of hiking experience you’ll find this track quite manageable. The Overland Track also boasts shelters and ranger stations along the way in case you run into some trouble or the weather starts playing-up. The Blue Mountains is probably one of the most popular spots for hiking in Australia since it’s literary next door to Sydney. The Blue Mountains are located about 25 miles west of Sydney and can be reached very easily on a 60-minute car journey along the State Route 40 (Bells Line of Road). You can also book guided tours from Sydney or hop on a train to the Blue Mountains on the City Rail train ride, which takes about 2 hours. 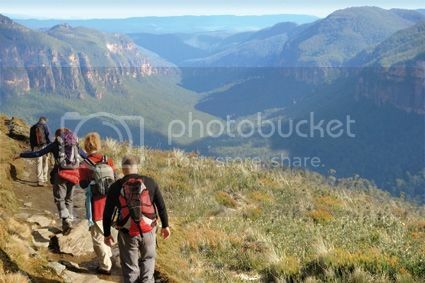 Once you get to the Blue Mountains, you'll find lots of great hiking and walking opportunities such as the Wentworth Falls hiking trail, which is one of the most popular trails in the Blue Mountains. The Blue Mountains also boasts stunning lookout points such as Rocket Point, Jamison, and Evans lookouts where you can enjoy some of the most memorable views. 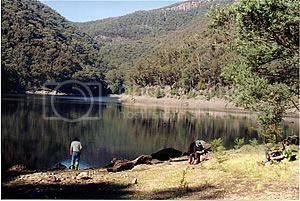 Lake Tarli Karng is located within the Alpine National Park and it’s one of the best places for hiking in South Australia because it's the only natural lake in the Victorian Alps. The area around Lake Tarli Karng is a real a beauty to hike, though bush fires and flooding wiped many of the tracks a couple of the years back. In fact, you can still find some trees scattered around the lake and closed tracks though luckily you can still enjoy nice easy day hikes along Mount Margaret track, Clive Lanigan Memorial Walk track, and Gillio track (all of which are opened). The Australian Alps walking track is one of the most famous bushwalking trails in Australia and one of the longest in the country. The Australian Alps track spans the states of Victoria, New South Wales, and the Australian Capital Territory passing through plains, tall forests, grasslands, beautiful national parks and stunning peaks such as the Baw Baw national park, Mt. Bogong, Alpine national park and Bimberi Peak.